Lock in a great price for Hostal Stella Del Mare – rated 8.6 by recent guests! Room and bathroom were very clean. Restaurant downstairs was nice. Breakfast is included and it is good. Staff is very helpful. Friendly place, very clean rooms over bar that does good pizzas (separate hotel entrance). 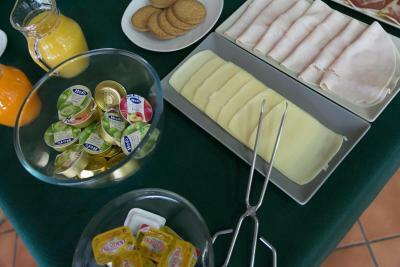 The facilities were clean and comfortable and ideal for my stay and the breakfast was very welcome in the morning. Good location, friendly staff, up-kept and comfortable rooms, no real complaints! The terrace was an unexpected pleasure as well as the friendly smiles on arrival. This place certainly deserves more than one star! La habitación estaba muy bien equipada y limpia, no faltaba de nada. La habitación tenia terraza amplia , el baño renovado y la dueña muy amable en todo momento , es un lugar muy agradable para estar unos días. La recepción esta en el mismo bar que regentan los mismos dueños que el hostal, nosotras comimos pizza y estaba riquísima y muy bien de precio. No hay problema para aparcar hay sitio de sobra. Limpieza, tranquilidad, buena atención del personal, desayuno completo y sabroso, buena ubicación. Es un hostal muy cuqui,tranquilo y las personas que lo llevan muy agradables. One of our top picks in Camariñas.Stella del Mare is located 10 minutes’ walk from Camariñas Beach, in Galicia’s A Coruña Province. This guest house features a restaurant and rooms with sea views. Some rooms at the Stella del Mare have a balcony and all rooms have satellite TV, free WiFi and a private bathroom. 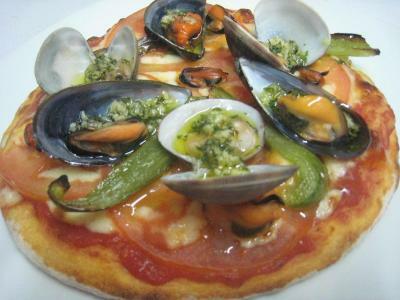 The Stella's restaurant specializes in pizzas and also serves traditional, Galician dishes. Guests can enjoy a buffet breakfast and make use of the bar and terrace, where free Wi-Fi access is available. 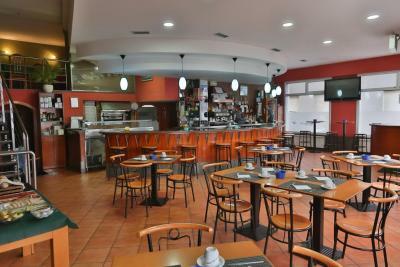 The Stella del Mare is a 10-minute walk from Camariñas Port and town center. There are several walking routes in the area and the coastal towns of Arou and Camelle are approximately 9.3 mi away. 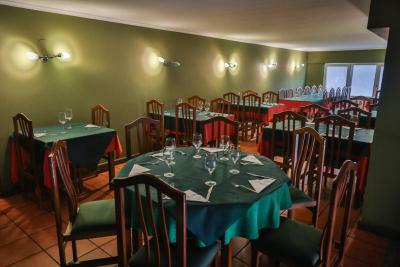 When would you like to stay at Hostal Stella Del Mare? This twin/double room has a balcony, tile/marble floor and private entrance. This twin/double room features a cable TV, tile/marble floor and private entrance. House Rules Hostal Stella Del Mare takes special requests – add in the next step! Hostal Stella Del Mare accepts these cards and reserves the right to temporarily hold an amount prior to arrival. The room we got was very small, but clean. The walls are pretty thin but it was not noisy. There is nothing I would highlight that I did not like. Rooms are small but sufficient, breakfast was a bit limited but I was satisfied, staff spoke little English but we made it work!